If you commit to 1 blog post a week, that's 14 posts. If you commit to 2 blog posts a week, that's 28 posts. If you commit to 3 blog posts a week, that's 42 posts. If you commit to 4 blog posts a week, that's 56 posts. If you commit to 5 blog posts a week, that's 70 posts. If you commit to 6 blog posts a week, that's 84 posts. If you commit to 7 blog posts a week, that's 100 posts. I'm not saying this to overwhelm you, and I want you to forget it after today. But the reason I brought it up is because there are several ways to approach your goal, and brainstorm your posts. I highly recommend you give this some thought and do some brainstorming during the first week, because the structure you choose, and the list of potential titles that you come up with, will be a great help as you move forward with this challenge over the next 100 days. What are the main topics that you address? What are the main keywords you want to use? What are the main problems your readers face? What are the main questions you keep getting asked over and over again? You can address different topics on different days using alliteration, such as Marketing Mondays, or simply assign days of the week to specific topics. You can piggyback on twitter chats or hashtags (#TopTenTuesday, #WriterWednesday, #FollowFriday, #WriteChat, #SciFiChat, etc.) writing posts that would be of interest to the people who use those hashtags. You can post a series on one day, and a general post on another. Series can be short or long. They can be a long post that you break into two or three pieces, be the seven keys to a particular outcome, or be a longer, ongoing in-depth exploration of a topic that is important to your readers. Series bring readers back to learn more, or go deeper. Series can help you establish your expertise in a particular topic. a Kindle or other type of ebook, selling it for $.99 to gain exposure, or up to $9.99 to build a presence on Amazon and Barnes & Noble and earn some money. Or you can focus on a broader topic if you have a book, ebook or e-course in mind. I'm brainstorming my blogging posts thinking they will eventually be an ebook. Because I'm thinking of them as an ebook, rather than a series, I'm brainstorming 5 to 7 main topics that will be the book's chapters. So here's what I'm thinking about what I would like to accomplish during this blog challenge. I'm committing (she said, nervously) to 4 posts, a week. 1 eBook Post a week, including my Top 10 eBook Articles for Authors (which I seem to fit in every other week, rather than weekly. 1 Writing or Marketing or 2nd eBook Post a week. This may be a serious challenge, but remember to experiment and have fun! I also want to invite some top bloggers and ebook authors to contribute guest posts. As well as play with some different types of posts, such as screen capture videos, top lists, and group contribution posts. One of my biggest desires is to learn the art of brevity--quick tips and fast posts. In other words, I want to use this time to explore and experiment, as well as to expand my blog. How many blog posts per week are you committing to? What new types of posts would you like to experiment with? 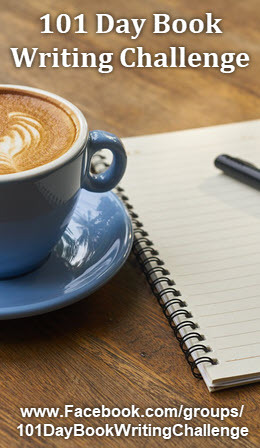 Do you want to use one or more of your weekly blog posts for a series? Yes, this is about getting more serious about blogging, but it's also about learning that blogging can be fun. So, relax, be kind to yourself, do a little brainstorming, and get blogging! Here's a post I wrote at the beginning of the last challenge about keeping track of how you're doing using a simple calendar. The 2nd S.H.I.N.E. Online Blogging Challenge Starts on 9-23-11. Come Join Us & Make Your Blog SHINE! in the Last 100 Days of 2011. Amazon and the Kindle have been changing and evolving so fast, lately, that I've decided to focus this week's edition of the Top Ten eBook Articles for Authors exclusively on... AMAZON! The Kindle has new features and formats, and will soon have a new color tablet reader that rivals the iPad. On top of that Amazon is redesigning their entire website, launching in Spain, and partnering with 7-Eleven to find new ways to deliver their Kindle e-readers, books, and other products to you. 1. Amazon’s Kindle Tablet Is Very Real. I’ve Seen It, Played With It. The rumours are unstoppable: Amazon is going to unveil a tablet in the next few weeks. The expectation around Amazon and its entry to the tablet market has been building, partly because it is the first – and possibly the only – company that people think could pose a serious threat to Apple in the tablet space. 5. Amazon's New Kindle Social Media Feature: Making Authors' Lives Harder? "I'm on Chapter 6 of 'Stuff Happens' and am confused about what you just said about stuff. I know you published the book back in 2007 but I wondered if you could explain to me what you meant?" Recently Amazon added to Kindle Store a new, very useful feature – Look Inside. It is the same feature as Look Inside for printed editions but it’s showing the content of the relevant Kindle book. I’d like to focus on how writers can benefit from it. 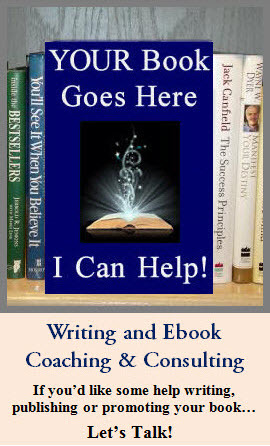 First of all, Look Inside is conveying for Kindle books the same task as a free sample. In fact it is a free sample. It’s much easier to read the first paragraphs of the books immediately rather than send a free sample to a device and clutter it. As ebook sales continue to trounce those of print books, and now with the demise of Borders, surely it’s only a matter of days until someone — probably a guest poster on this very blog — declares the death of the physical book. They’d be wrong, of course. Still, the fact remains that there are certain aspects of physical books that ebooks will struggle to replicate. The buzz of starting a conversation with an attractive stranger who’s reading your favorite book. The joy of a beautifully designed cover. The voyeuristic thrill of examining a friend’s bookshelves. Paper cuts. For authors — and for readers, too, I suspect — another significant pleasure afforded by physical books is the book signing; an opportunity for writers to meet (and thank) the people who let them keep doing the job they love, and for readers to interact with their favorite authors, and complain about the unsatisfactory endings of their best-known books. Yes, Charlotte Brontë, I’m talking to you.